Webmasters around the world are always in constant search of ways and means to optimise websites and increase rankings on all major search engines. But this is easier said than done. SEO experts are facing stiff competition as millions of content are being uploaded everyday and thousands of SEO professionals are simultaneously striving to achieve their only goal – to get business on the first page of Google SERPs. The keyword here is to create unique and engaging content guaranteed to capture the imagination of the visitors. And what better way to do it than have video content running parallel with written text. Videos and animation helps to draw more focus to the website than conventional words. One video can convey the meaning of a thousand words and is more appealing to watch. Matched with selected normal material, it is slowly turning into a dream come true for SEO professionals. However, while normal SEO has fixed procedures and techniques, getting exclusive standalone videos on YouTube to publicize products and services and getting them to rank high enough is an altogether different proposition. Statistics related to YouTube are mind blogging. About 200,000 videos are uploaded every day and over a hundred million videos are watched daily on this site. Under these circumstances a single video would sink without a trace. This is not to belittle the value of videos and more specifically those posted on YouTube for online digital marketing campaigns. While it is acknowledged that YouTube does not generate as much social media engagement as Facebook, Twitter or Tumblr, its effectiveness in generating interest cannot be questioned at all. Hence, it is worthwhile to attempt YouTube video marketing considering that the site is ranked third most popular in the world as well as being just below Google as a search engine. There cannot be a bigger reason than this to optimise content on YouTube. Google lays great stress on providing searches with the finest results through blended search and tends to prefer sites that are topped up with images. This is based on acknowledging value of a website that has a good mix of regular content and eye catching videos, thereby increasing its rankings. Small businesses stand to gain most from this approach. By creating good quality SEO-friendly videos and leveraging blended search it is possible for them to compete in rankings with established companies. But it all depends on the quality of the video, its appeal and popularity on YouTube. Following a few simple techniques can help create an SEO friendly YouTube video. Put Emphasis on Concept – It is advisable not to treat the video as a pure commercial but to design it in a manner that conveys a lot of valuable information to the viewer. Videos that go viral and draw in viewers are based on this concept. If people can be made to take an interest in seeing and listening to the message you want to convey, it’s half the battle won. Sales will follow automatically. Maximize Product Information – Give detailed information of your products and demonstrate how to use them. This will make viewers want to try them out. Pick up a similar product of your competitor and discuss the advantages of your item. Be honest in your evaluation. Consumers know that there will be both an up-side and down-side of any product. Be a Dependable Guide – “How to” videos or ones that offer valuable guidance and tutorials almost always draw a lot of viewers because it adds to the knowledge quotient. It also puts you in good light as a reliable person who can be turned to for advice. In time what you say will be treated very seriously and when you say your product is good and worth a try, people will believe you and go for it. But it takes time to build this level of confidence. Your site and videos will be eagerly looked forward to as a rich source of information and be seen as highly educational in nature.Like normal SEO, carry out detailed keyword research before launching a video. Study those of your competitors and search YouTube for the results they are generating. Text and Quality Recording – Content and high quality recording form the very foundation of a SEO optimised video. Go through the content with a fine toothcomb. The text, the message, the main points that need to be highlighted should be given priority. Practice your mode of presentation, where to pause for effect and where to sound authoritative and display your grasp over the subject. Always end up with a call for action leading to your business and include a link to your website. Most importantly, keep the content short and to the point. Viewers will not spend a whole day listening to you.The quality of the video plays a crucial role in its success. Poor graphics or voice audio will put off viewers. Hence the recording equipment should be technologically advanced and have the latest editing and high end features. On the other hand, using a simple web cam of a computer gives an earthy look and the effect is more personalized. Viewers will feel that they are having a cozy chat with you. Edit your video to make it crisp and one with a lot of clarity. Meta Title and Description – A problem often faced by the experts is that search engines do not crawl through video content. Google depends on text to rank your video and this is why Meta Title and Meta Description are so important in the long run.Meta Title points to what the video is about and is the contact between people wanting to see a specific video and the search engine. Hence the top keywords on which the video is based should be included in the title. As in conventional text SEO, a long tail keyword having one or more themes will be perfect to bring in more traffic to the video.Meta Description of the video is an effective tool to take viewers repeatedly to your website. One of the simplest ways is to add links at the beginning and end of the Meta Description. It should be of paragraph length with video optimised keywords in it. Variants of video Meta Description include tagging your business location so that the video is shown in Google places and Google Maps and putting keyword rich subtitles and captions that has specific SEO text that can be crawled. Putting a sitemap – This s a great way to tell Google about your video so that it is properly indexed. Have the video put on multiple pages on the website after uploading it on YouTube and submit a sitemap. Using social media platforms – This is a normal SEO activity and the same holds good for optimizing videos too. Share the video on social media platforms like Facebook, Twitter, LinkedIn and Google+ as well as other websites. To maximize awareness of your video and get it noticed, take the blogging route. Further, go for online marketing of your video by attaching it to emails to prospective customers. 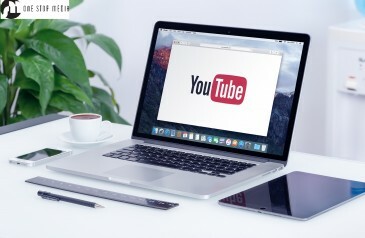 By following these simple steps, it is possible to increase search engine rankings for your video both on YouTube and Google. If you are looking for a top online marketing firm for your video marketing campaign and to optimise it from a SEO standpoint, consider One Stop Media as your first choice. We are based in Melbourne and have successfully carried out similar online promotional activities. We will ensure that your video results in increased sales, higher brand awareness, more qualified leads from social media platforms and a boost to search engine rankings.